Horseshoe Crab: Prepare to meet your doom! 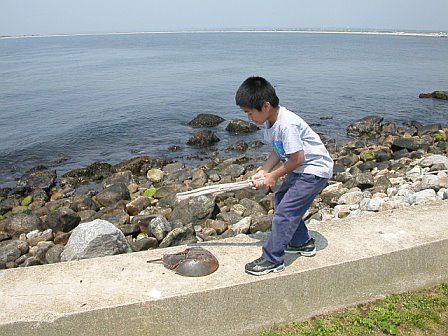 A boy prepares to smash a horseshoe crab to oblivion. 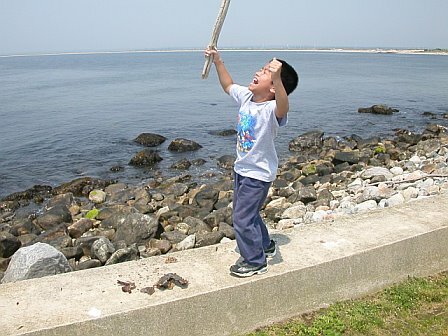 A boy celebrates his conquest of a horseshoe crab.